Lucy Rapoport has guided and accompanied many previous Jewish heritage tours — all to great acclaim. Born and schooled in England before moving to Italy as a young adult, Lucy is fluent in Italian, German, French, and Spanish and has been a tour manager for more than twenty years. Specializing in Europe, Lucy has accompanied previous Jewish groups to such places as Lithuania, Krakow, Prague, Berlin, Croatia, Spain, Romania, Serbia, France, Northern and Southern Italy, and Sicily. With Lucy’s attention to detail, knowledge of history, and considerable expertise in guiding groups, participants will be well served on this trip. Raymond P. Scheindlin, Ph.D. is Professor of Medieval Hebrew Literature at the Jewish Theological Seminary and a former Guggenheim Fellow. Dr. Scheindlin’s main field of research is the encounter of Hebrew and Arabic cultures in Spain, especially as embodied in the poetry of the two traditions. His books on medieval Hebrew poetry — Wine, Women, and Death: Medieval Hebrew Poems on the Good Life, dealing with secular poetry; and The Gazelle: Medieval Hebrew Poems on God, Israel, and the Soul, reflect both the academic and the literary aspects of his career. He is the author of a widely-used textbook, A Short History of the Jewish People and co-editor of The Literature of Al-Andalus. His most recent book is The Song of the Distant Dove: Judah Halevi’s Pilgrimage. Beginning in Trieste, and continuing on through the spectacular Dalmation Coast, experience magnificent scenery while learning about the fascinating Jewish culture of this lesser known part of Europe. Trieste, referred to as the Gateway to Zion, sits on the crossroads of Europe — where East and West begin to blend. Croatia represents another cross section, with Jews from Sephardi and Ashkenazi origins having lived on the Dalmation coast since Roman times, while Jewish communities in Dubrovnik, Split and Zagreb can be traced to the 14th century. 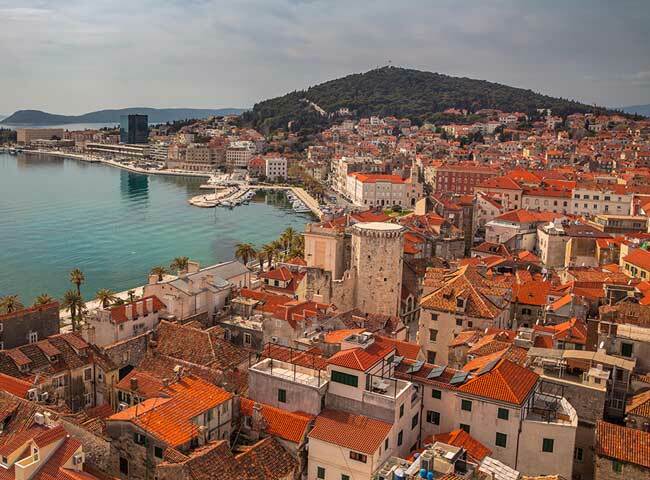 Accompanied by professor Raymond Scheindlin, our travels will take us from Trieste to Zagreb, Split, and Dubrovnik, with the spectacular Dalmation Coast providing unparalleled views along the way. Additionally, we will meet members of renewed Jewish communities, travel, visit outstanding museums, view architecture unique to the area, and stay in some of the most charming hotels in Europe. We invite you to join us on this unique, exotic adventure! 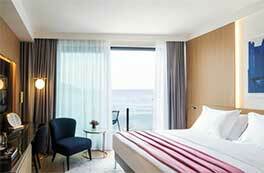 Arrive Trieste; check in to the deluxe Savoia Excelsior Hotel. Rest and relax from our journey. Late afternoon: Orientation walking tour of vicinity, with its outdoor cafes and shops. Evening: Opening talk by Dr. Ray Scheindlin, Croatia in World and Jewish History. Orientation and introductions followed by a welcome dinner (included). 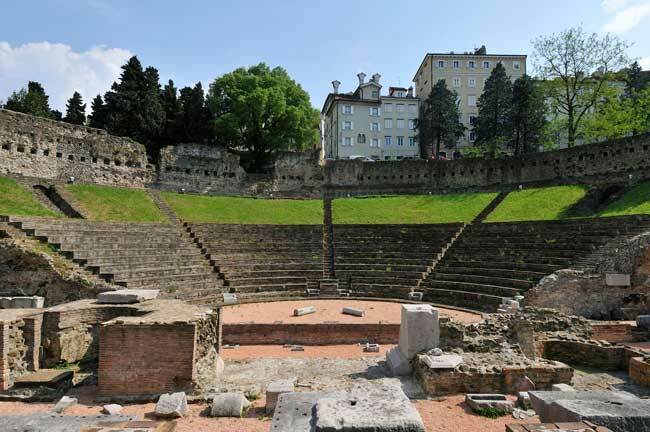 Depart hotel and get acquainted with the cosmopolitan city of Trieste — including visiting the San Guisto Cathedral, the “Great Synagogue” and the Teatro Romano (ancient Roman theater). During the course of our morning, will also make a stop at the Carlo and Vera Wagner Museum before breaking for lunch on our own. Afternoon: Departure from our hotel for a tour of Miramare Castle, the 19th century home of Austrian archduke Maximillian. Evening: Presentation by Dr. Scheindlin, The Jews of Trieste, followed by dinner on our own. Morning visit to the Riseara di San Sabba Museum — a rice husking factory that was converted to a Nazi detention camp. Used for the detention and killing of political prisoners, it also served as a transit camp for Jews, most of whom were then deported to Auschwitz. Afternoon and evening: free for visiting sites of personal interest, and/or relaxing and enjoying Trieste. Depart Trieste for Zagreb. 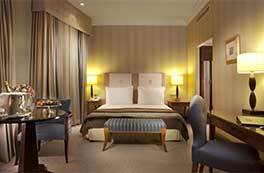 En-route, journey through Slovenia’s lush countryside – stopping in its thriving capital Ljubljana for lunch and a walking tour of the “Old Town.” From Ljubljana, we will continue to Zagreb — checking in to our hotel, the elegant Regent Esplanade, in time for Shabbat dinner (included). Free to rest, explore Zagreb on our own and/or attend services. Afternoon: Depart hotel for an (optional) afternoon walking tour of “Lower Town” with its museums, cafes and beautiful architecture, including a tour of the Museum of Arts and Crafts with its own collection of Judaica. Evening: Presentation by Dr. Scheindlin, The Emperor Diocletian: Persecution and the Art of Ruling, followed by dinner on our own. 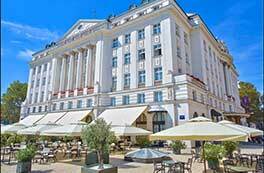 Depart hotel for tour of Mirogoj Cemetery, considered one of the most beautiful cemetery parks in Europe. Return to city center for tour of “Upper Town” (the “Old City” which dates back to the 11th century) and visits to the Croatian Museum of Naïve Art and Zagreb City Museum. During the course of our day, there will be time for lunch on our own. Evening free; dinner on our own. 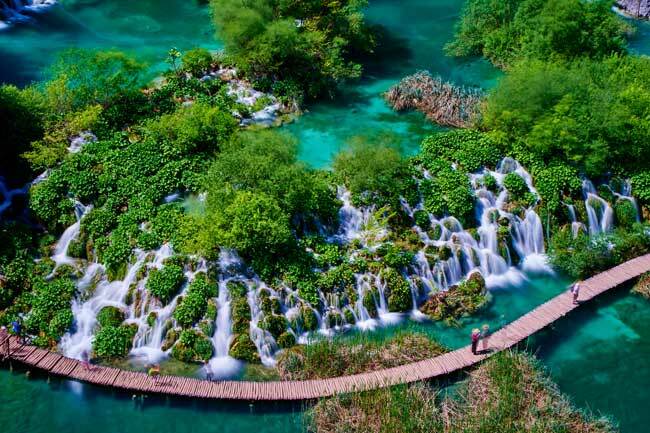 Appreciate some of the magnificent countryside of Croatia with an outing to Plitvice Lakes National Park. A UNESCO World Heritage site, and the oldest and largest park in Croatia, it is known for a chain of 16 terraced lakes, joined by waterfalls, that extend into a limestone canyon. Depart Zagreb for a short flight to the ancient town of Split — built by the Roman Emperor Diocletian. Upon arrival, lunch (included) and visit to Trogir — UNESCO World Heritage site and one of the most stunning places in the Mediterranean — and a tour of the “Old Town” center. 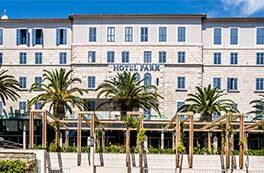 From Trogir, we will continue to Split and check in to the five-star Hotel Park. Rest and relax before dinner (included) at our hotel. Depart hotel for a walking tour of Split city center, including St. Dominus Cathedral (said to be the one of the oldest cathedrals in the world); famed Palace of Diocletian, and the ancient Synagogue. 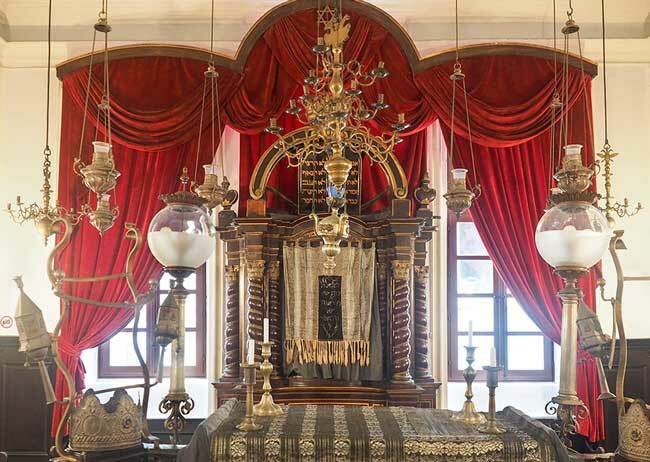 Dating back to the beginning of the 16th century and still in use today, the Synagogue in Split is situated at the entrance to the former ghetto and within the walls of the northwestern part of Diocletian’s Palace. Afternoon: free for shopping and exploring Split on our own. (Optional) visit to the Mestrovic Gallery, Croatia’s most renown artist. Evening: Presentation by Dr. Scheindlin, Dubrovnik: Venice and the Jews, followed by dinner on our own. En-route to Dubrovnik, we will enjoy a spectacular coastal drive along the Dalmatian Coast – stopping for lunch (included) in Ston. 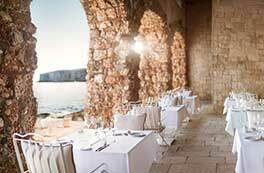 Upon arrival in Dubrovnik, we will check in to the deluxe, five star Excelsior Dubrovnik hotel- located just minutes’ walk from Old Town and the ancient city wall’s fortress. Evening free: dinner on our own. Morning presentation by Dr. Scheindlin before departing for a visit to the Dubrovnik Synagogue (built in 1408). Following our visit to the Synagogue, we will continue exploring Dubrovnik, including visiting such sites as Rector’s Palace, Sponza Palace, the Franciscan Monastery, the Reliquary of the church of St Blasius and the Church of St. Blaise. During the course of the day, lunch on our own on the Stradun. Morning: Free to rest, or explore Dubrovnik on our own. Afternoon: (optional) tour of the Ethnographic Museum and the Maritime Museum and, for those who wish, walk the city wall and take in its breathtaking view of Dubrovnik and the Sea. Or, free to rest, relax, and/or use for last minute shopping. Evening: Closing remarks, followed by festive dinner (included). Early morning departure for Dubrovnik Airport and return home. *Please Note: Daily schedule may be modified subject to weather or unanticipated changes. 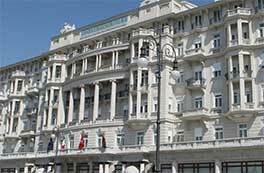 The Savoia Excelsior Palace stands proudly on Trieste’s historic seafront just a few leisurely steps from the city center. The rooms have been recently restyled with a blend of classic elegance and contemporary details, with breathtaking views of the beautiful panorama of the Gulf of Trieste. From the Concierge to the 24-hour room service, from the Wi-Fi to the tranquil library, all the hotel’s amenities are selected and personalized to offer you an exceptional stay in unparalleled comfort. Opened in 1925 as a refuge for passengers from the Orient Express, the über-stylish Esplanade Zagreb Hotel is an architectural gem. Located within easy reach of key attractions, the city’s most iconic hotel combines art deco glamour with every contemporary convenience. From imaginative interior decoration to the sumptuous marble bathrooms, each of the thoughtfully-designed and spacious rooms offers a high level of comfort in the heart of Croatia’s vibrant capital. Claiming a prime position amid the stunning shores of Split Croatia, Hotel Park offers extraordinary views and excellent walkability to remarkable historic “Old Town”. 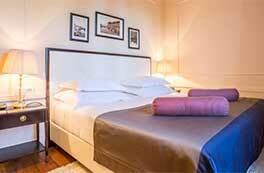 This completely renovated hotel offers a superb standard and very unique and stylish atmosphere. The combination of premium materials, colors and art decor style create a refined sense of luxury and relaxing effect with a touch of the Mediterranean past. 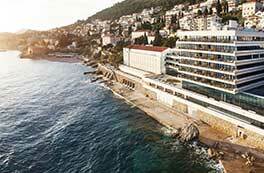 The spectacular seaside setting overlooking both the Adriatic and the ancient Old Town combined with flawless service, mark the five-star Hotel Excelsior Dubrovnik as a landmark hotel. Housed in a former 1913 royal villa and built to take full advantage of a west-facing view of the glorious Old Town, is set with a calming marriage of natural shades, wood furnishings, and handpicked accessories. Travel in comfort. 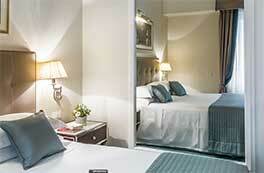 We stay at deluxe hotels with fine amenities. Accommodations for this trip listed below the itinerary. Download and print the trip information. *Per person, double occupancy for registration by March 15, 2019. Cost after March 15 is $7,200. Single supplement ($1,550) and gratuities ($165) additional. A $1,000 per-person, nonrefundable deposit due upon registration; second deposit of $1,000 per person due March 15, 2019. Balance in full due 120 days prior to departure. To reserve your place, please complete the reservation form and return with a non-refundable deposit of $1000 per person. Limited to 30 participants, the program will entail considerable walking, including uneven terrain. Participants need to be in active, good health, able to keep up with the group, ready to travel and experience group and cultural differences with grace. If you have any questions, or need help with your travel plans, please call the Jewish Heritage Travel Office at 845.256.0197. Participants are urged to purchase travel insurance for losses necessitated by having to cancel participation due to health issues. For your convenience, insurance forms will be sent upon registration, or consult your own insurance agent. Please contact The Jewish Heritage Travel office at 845.256.0197 for more information. All cancellations must be received by The Jewish Heritage Travel Program in writing. Cancellations received up to 120 days prior to departure: full refund less non-refundable deposits, per person; 119-90 days prior to departure: 50% refund per person after non-refundable deposits. No refunds after this date. All rights are reserved by the Program Directors to make faculty substitutions and/or to modify the itinerary (including hotels) as needed.